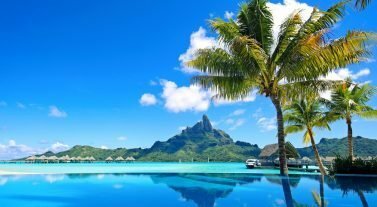 When people speak of paradise on Earth, the South Pacific island of Tahiti often comes to mind as the ideal. Tahiti is a verdant oasis surrounded by turquoise-blue seas, and populated by people whose friendliness is legendary. Tahiti is the largest island in French Polynesia, a group of four archipelagos made up of roughly 117 islands. In all, the area is roughly the size of Western Europe. They are the sparkling jewels in the exotic cruising grounds of your Tahitian sailing vacation. Because these islands are downwind from Tahiti, they’re known as the Leewards. Their mountains rise from the sea atop the remnants of ancient volcanoes. Barrier reefs provide a habitat for sea turtles, sharks, dolphins, porpoises, colorful unspoiled coral, and countless species of fish, all of which make the Tahitian Leeward Islands arguably one of the world’s best areas for snorkeling and scuba diving. 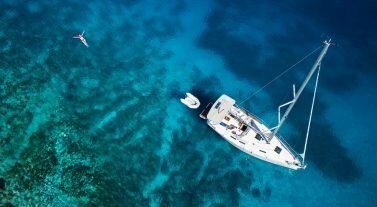 Throughout the islands, you’ll find top resorts and every imaginable water sport from wind surfing to diving. In addition, there are island tours, archeological and historical, and fine dining consisting of vegetables, fresh fish, and exotic fruits which are prepared with a Polynesian influence and a touch of French cuisine. A valid passport is required to travel to Tahiti. Special sailing considerations while on charter, e.g. skipper required. Special waiver for a navigation for Tuamotu Archipelago. Night navigation permitted with a special authorization. Day 1: Arrive at our base in Marina Uturoa for chart briefing and orientation, then set sail for the east side of Taha’a. You’ll be itching to dive into the shimmering water for snorkeling – find the prefect spot near the coral reef or in the Passe Tohaotu. Eat dinner aboard and get plenty of rest – your Tahitian adventure is just beginning! Day 2: Sailing from Taha’a to Huahine takes about 5 or 6 hours, from the Pass Toahotu to Avamoa Pass. 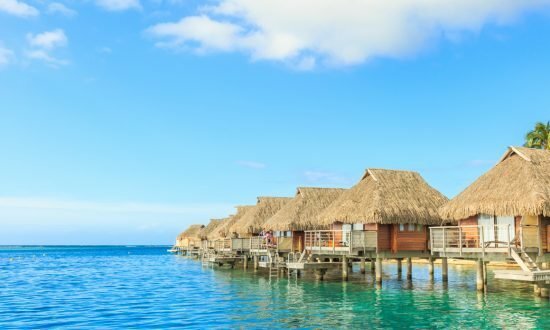 Visit Fare, a typical friendly Polynesian village with some boutiques and small restaurants. Day 3: Cruise from Fare to Avea Bay, then sail all along the Huahine Lagoon. The anchorage in this bay is very well protected and should provide a restful night’s sleep. Day 4: Raiatea is home to the Anapa Pearl Farm, which is well worth a trip. Call first, then take a mooring at the farm and have a wonderful visit. Take your dinner aboard and prepare to sail back to base. 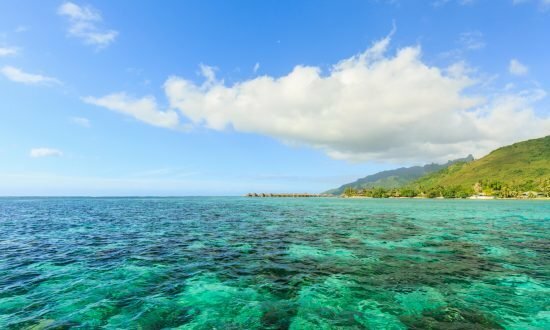 Day 1: Begin on Raiatea – the cradle of Polynesian culture. 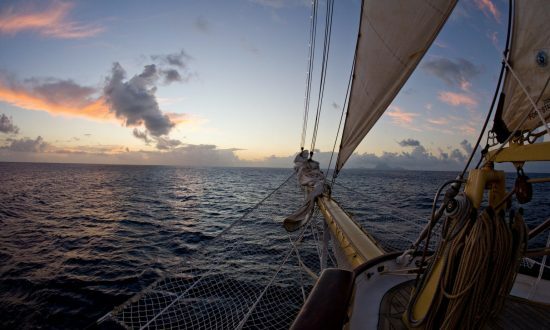 Eat dinner aboard and get plenty of rest – your Tahitian adventure is just beginning! Day 2: Raiatea is home to the Anapa Pearl Farm, which is well worth a trip. Call first, then take a mooring at the farm and learn all about pearls. Explore the lagoon or hike through the rainforest and chance seeing Tiare Apetahi – a very rare flower. Day 3: Anchor at Motu Topua on Bora Bora. Fill your day with swimming and snorkeling, then take a mooring at the Bloody Mary restaurant. Day 4: Sail to the East side of the lagoon, where you can swim with turtles, rays, sharks, and fish. In the afternoon, sail down the Southern shore of Bora Bora and explore the magnificent coral reef. 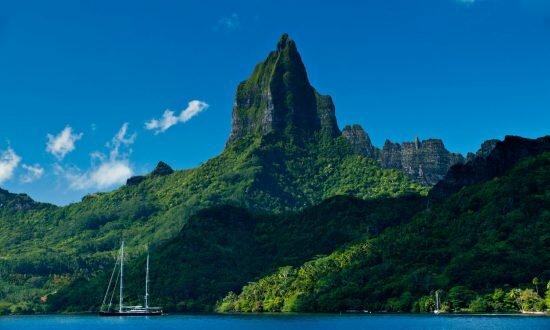 Day 6: Sail to Huahine and visit Fare, a typical friendly Polynesian village with some boutiques and small restaurants. Day 7: Cruise from Fare to Avea Bay, then sail all along the Huahine Lagoon. The anchorage in this bay is very well protected and should provide a restful night’s sleep. Day 8: Fast passage downwind to Raiatea. Dine ashore before sailing back to base. Day 1: Arrive at the Dream Yacht Charters base in Marina Uturoa. After the chart briefing and orientation, eat dinner aboard and get plenty of rest – your Tahitian adventure is just beginning! Day 2: A quick and easy sail takes you to your first destination: Moorea. The lagoon is prime territory for snorkeling, fishing, swimming, and paddle-boarding. On shore, well-kept hiking trails connect you to endless exploration. Whales and dolphins call the area home, so book a whale-watching tour or a meet-and-greet with some playful porpoises. Day 3: Raiatea, the cradle of Polynesian culture, is home to the Anapa Pearl Farm, which is well worth a trip. Call first, then take a mooring at the farm and learn all about pearls. Explore the lagoon or hike through the rainforest and chance seeing Tiare Apetahi – a very rare flower. Day 4: Set sail for the east side of Taha’a. You’ll be itching to dive into the shimmering water for snorkeling – find the prefect spot near the coral reef or in the Passe Tohaotu. Day 5: Cruise from Taha’a to Bora Bora, anchoring at Motu Topua. Fill your day with swimming and snorkeling, then take a mooring at the Bloody Mary restaurant. 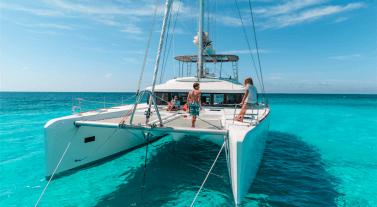 Day 6: Sail to the East side of the lagoon, where you can swim with turtles, rays, sharks, and fish. In the afternoon, sail down the Southern shore of Bora Bora and explore the magnificent coral reef. Day 7: Cruise back to Raitea, where you can revisit the lush rainforest and sparkling lagoon. Dine aboard, then get plenty of rest for your morning sail. Day 8: It’s back to Taha’a, where you won’t be able to stay out of the water. Teeming with life and reflecting the Tahitian sunlight, this reef is pure paradise. Day 9: Sail to Huahine and visit Fare, a typical friendly Polynesian village with some boutiques and small restaurants. Day 10: Cruise from Fare to Avea Bay, then sail all along the Huahine Lagoon. The anchorage in this bay is very well protected and should provide a restful night’s sleep. Day 11: Fast passage downwind to Raiatea. Dine ashore before sailing back to base. Day 2: Raiatea is home to the Anapa Pearl Farm, which is well worth a trip. Call first, then take a mooring at the farm and learn all about pearls. Day 3: Cruise to Bora Bora, anchoring at Motu Topua. Fill your day with swimming and snorkeling, then take a mooring at the Bloody Mary restaurant. Day 4: Rise with the sun and return to Raitea. Explore the lagoon or hike through the rainforest and chance seeing Tiare Apetahi – a very rare flower. Day 5: Set sail for the east side of Taha’a. You’ll be itching to dive into the shimmering water for snorkeling – find the prefect spot near the coral reef or in the Passe Tohaotu. Day 6: Make your way to Huahine and visit Fare, a typical friendly Polynesian village with some boutiques and small restaurants. Day 7: Travel from Fare to Avea Bay today, then sail all along the Huahine Lagoon. The anchorage in this bay is very well protected and should provide a restful night’s sleep. Day 8: Cruise back to Raitea, where you can revisit the lush rainforest and sparkling lagoon. Dine aboard, then get plenty of rest for your morning sail. Day 9: Moorea, your next stop, is prime territory for snorkeling, fishing, swimming, and paddle-boarding. On shore, well-kept hiking trails connect you to endless exploration. Whales and dolphins call the area home, so book a whale-watching tour or a meet-and-greet with some playful porpoises. Day 10: Only a few minutes from Moorea, Tahiti is your next and final destination – and what a grand destination it is. International airport in Papeete, several airlines companies offer flights. Between Papeete and Raiatea interior flights are with Air Tahiti. Can be organized by the base (costs indicated in rates sheets / 10mn between airport and the base) or taxis. Few snacks and restaurants in town 500 metres from the base. Main minimarkets: Liaut, Champion, Leogite and the market in town. Dream Yacht can take care of your provisioning. Send us back the provisioning list available on the site (once you filled it up) and everything will be on board upon your arrival. Credit cards / accepted currencies Master & Visa are accepted. Very few shops accept Amex, DYC do not. Local currency is Franc Pacifique, fix rate exchange 1 Euro = 119.3317 CFP ATM machines on every island, bank commission for change at desk. Maupiti pass closes regularly due to heavy swell, call the contacts (see on the pilot guide). Call the base at least one day in advance when returning or for a stopover. ( prefer a stopover during the week rather than weekends. The best provisioning is in Raiatea and Huahine, very poor and expensive in Bora Bora or Tahaa.